AMSC Research specializes in discovering what is most relevant and interesting about museum materials of all kinds. We perform in-depth research on objects and promote new understanding of them; we recommend strategies for more effective displays and exhibitions. We call what we do Creative Visualization. Our design work is done in 2D and 3D and uses a variety of software programs, including Adobe Illustrator, Maya by Autodesk and AMIRA by FEI. Our company has helped museums achieve their core objectives by developing original and exciting exhibit content. 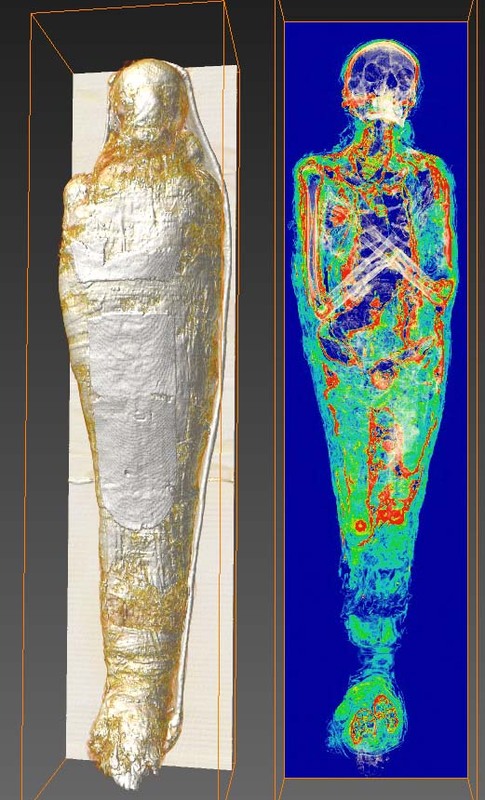 Our work evolved from expertise in mummy CT scan imaging and the preparation of 3D printed models based on scan data. AMSC Research has developed a variety of video projects, animations, and an extensive collection of forensic facial reconstructions of ancient people based on its ongoing analysis of mummy data. Through digital museology of this kind, successful exhibitions have been created and original research findings have been made available to a wide audience. When you discover new things about objects, it becomes easier to make them interesting. AMSC Research consults with curators and other collection managers to discover what is unique about items and to ensure that they are represented effectively in museum displays. The results can be impressive. The presentation of objects needs to be dynamic in order to engage audiences and increase dwell time within exhibits. Achieving this goal requires a process that is both analytical and design-conscious. We call this two-part activity Creative Visualization. Our objective is to produce displays of high quality which are impossible for audiences to ignore. The visual power of a display component is built into its deepest layers. For instance, the eye-catching quality of a sculptural product of ours is created through the artist's commitment to an exacting sequence of careful sanding and polishing after the sculpture emerges from the mold. 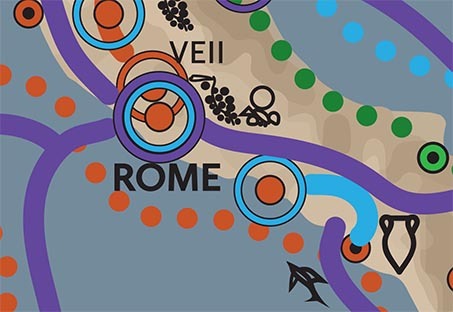 The visual allure of a gorgeous map produced by AMSC Research comes from attention to detail, conceptual clarity and sumptuous design. Careful attention to techniques of representation (Creative Visualization) can enliven exhibits and help overcome audience burn-out. The problem often is that the interesting aspect of a theme or topic can be difficult to “get across” to visitors and exhibits can fail as a result. Using analytical software to move beyond “the expected” can transform commonplace and derivative representations into original ones that will help drive museum traffic. To learn how, email us at: director@amscresearch.com.